Mindfulness is currently on everyone's lips and threatens to become a term as abused as sustainability: so often used so differently that it becomes almost meaningless. But is mindfulness really that complicated? Do you really first have to meditate for years or study 5000 years of Eastern cultural history in order to be able to treat yourself, your fellow human beings and nature with respect? 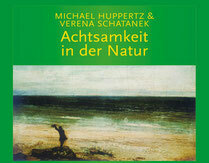 Verena Schatanek and Michael Huppertz have written the standard work on mindfulness in nature in the German-speaking world. They plead for keeping the ball as low as possible, not unnecessarily loading the term with metaphysical, esoteric or complicated meanings.